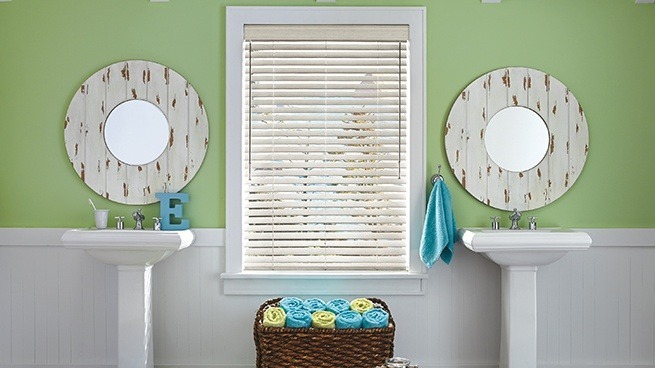 Luminette® Privacy Sheers are a great choice for large bathroom windows. When the vanes are open, the sheer fabric filters the light and illuminates the room. 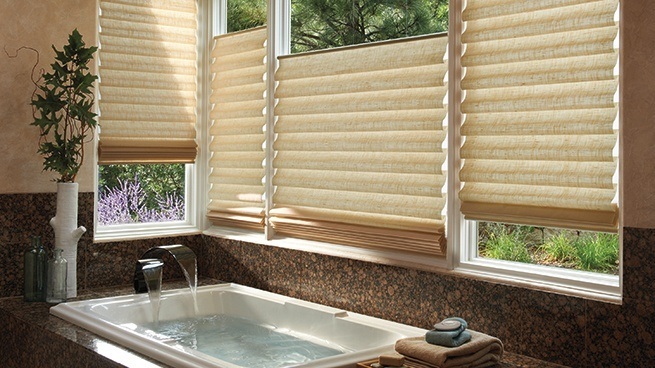 When the vanes are closed, the opaque fabric provides the privacy of a drapery.